It’s not a great time to be a renter. In fact, it might be the worst time in 36 years. The median rent nationwide now takes up 30.2 percent of the median American income, the highest cost burden recorded since 1979. In the late 1980s and throughout the 1990s, the median American looking to lease a home could expect to spend a little less than a quarter of what she earned on rent. Last year at this time, the median cost burden for renters was 29.5 percent of income. In Chicago, rent as a percentage of income has risen to 31 percent, from a historical average of 21 percent. In New Orleans, it has more than doubled, to 35 percent from 14 percent. One of the most expensive cities for renters is Miami, where rents, on average, consume 43 percent of the typical household income. An insane and unsustainable number. Nationally, half of all renters are now spending more than 30 percent of their income on housing, according to a comprehensive Harvard study. Part of the reason for the squeeze on renters is simple demand — between 2007 and 2013 the United States added, on net, about 6.2 million tenants, compared with 208,000 homeowners. Mostly because during that period money for affordable housing dried up despite the huge need for those funds. Federal housing funds have been cut in half over the last decade. The percentage of eligible families who receive rental subsidies has shrunk, to 23.8 percent from 27.4 percent. 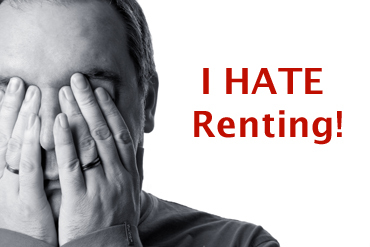 We’ve incentivized renting rather than owning to a certain extent. That is, and always will be, a problem for housing. A lot of those added to the rental roll were previous homeowners caught up in the housing crash and Great Recession. While some are re-entering the housing market, others remain on the sidelines unsure of their options. We’re not done with the bad news though. Apartment vacancy rates have dropped so low that forecasters are predicting that rents could rise, on average, as much as 4 percent this year, compared with 2.8 percent last year. But rents are rising faster than that in many metro areas even as overall inflation is running at little more than 1 percent annually. In areas like San Francisco, San Jose, Fremont and Los Angeles, renters are having to get creative to afford the high cost of housing. In those areas, homeownership is out of reach for many. Rents are getting there too. The nationwide problem threatens to get worse before it gets better. Apartment builders have raced to build more units, creating a wave of supply that is beginning to crest. That said, the demand still exceeds the supply, especially for affordable housing. Many of the units being built are for upper-income renters. Why not use limited resources to satisfy the high-end market first? It’s simple economics. However, building these units does nothing to help lower and middle-income tenants. One of the biggest takeaways is that In many markets, buying a home is considerably cheaper than renting. Renters interested in reducing expenses and collecting tax benefits should absolutely talk to a mortgage lender prior to signing that rental contract. Mortgage underwriting guidelines have been slowly loosening and those that were denied for a mortgage last year may qualify this year. At the very least, your mortgage lender can provide the guidance needed to make this your last year as a tenant. Whether your issue be credit score, how your income is calculated, student loan debt or other debt-to-income ratio issues, your lender can layout a roadmap for you to follow. Stick to the plan, the roadmap, they provide and chances are you will be a homeowner by 2016. Your commitment might just save you thousands every year.